Huge oven spring for Zakopane Buttermilk Rye. 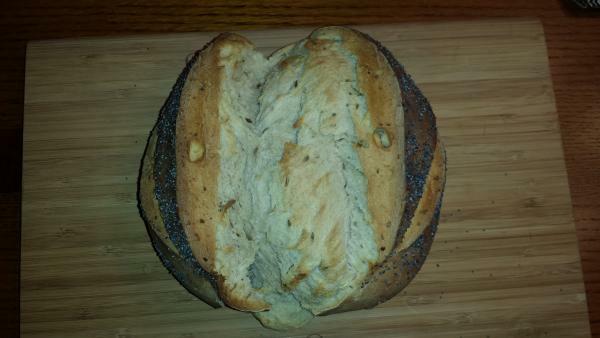 This loaf was slashed down the middle and also along the sides. How was the taste of the Zakopane Buttermilk Rye? It's still a nice loaf of bread. Get ready for week 3. More success to come. Looking forward to your pics next week. Thank you, I need to figure out how to avoid the explosion. 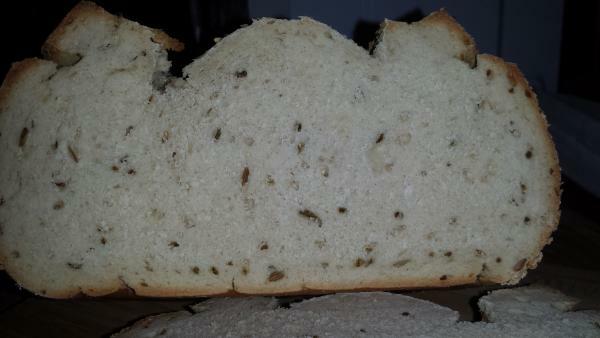 This loaf has cumin seeds in it. I've never had them before and really liked it. I use ground cumin fairly often, but never really noticed it in seed form. 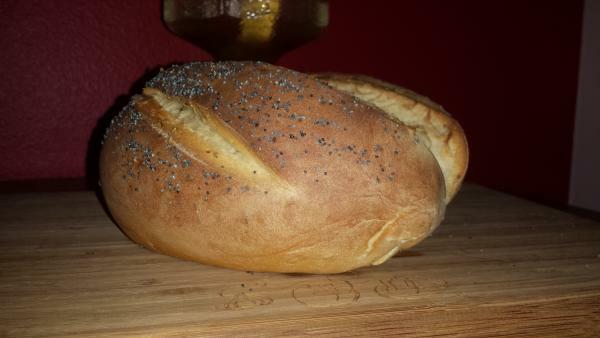 Use of cumin in Eastern European and German breads is almost always a result of a translation error. For example, Polish word for cumin is kmin, and for caraway it's kminek. My book says kminek for this recipe. I wood say most likely under-proofed or maybe your shaping was not tight enough. I'm working on my second bread the Oat rye bread as we speak. Next recipes are very interesting. Stan seemed to think underproofing. I'm liking the sound of my next 2 loaves, a Dark Beer and Ham Rye and Rye Raisin scones. I have to wait for the weekend though.